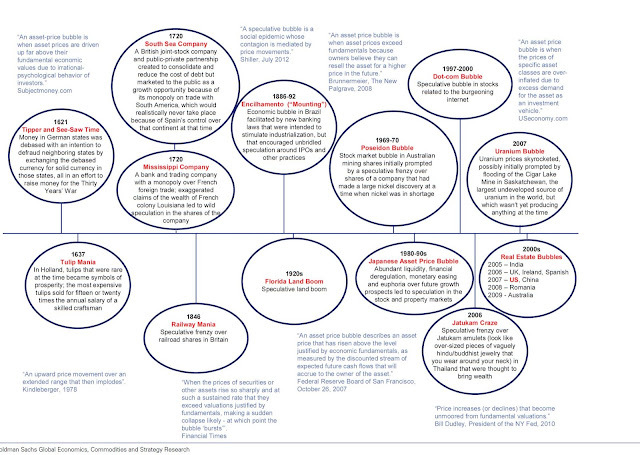 This chart shows a historic overview of several financial bubbles. 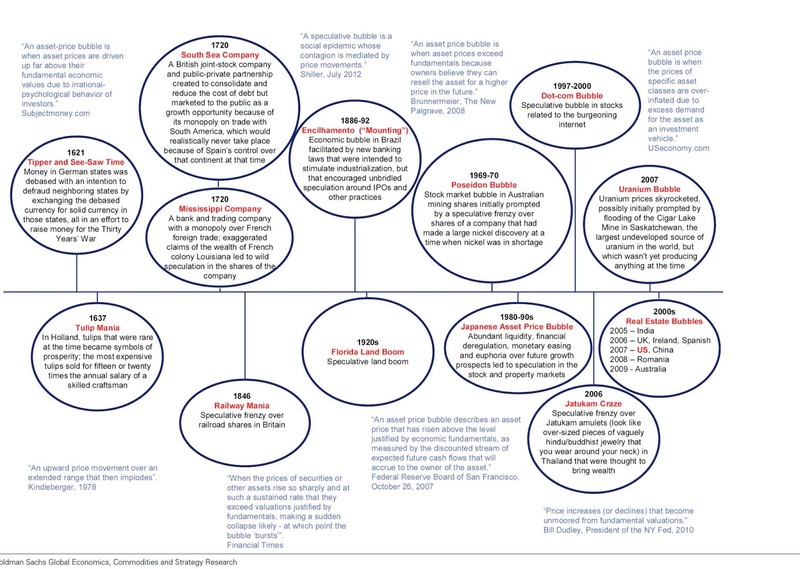 From the Tulip Mania in the 1630's to the Real estate Boom that ended in the late 2000's. This research was provided by Goldman Sachs.